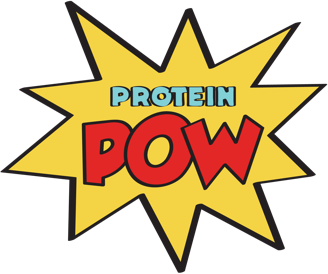 Awesome Heather, from Maxiraw, sent me a bunch of protein pows to play around with and cook. I’m super excited because she sent me stuff I’ve never tried before like unflavored casein and unflavored BCAAs (which taste kind of hum-hum but I think can yield some great rest-day BCAA jello!) I’ve been experimenting the pows lots and will upload some MaxiRRRRRRRRRRRRRaw recipes soon. Before I do though, here’s a guest post by Heather herself! They sound yum-yum and I’m definitely going to be making them asap. As you can see in my previous post (for Mexican Chocolate Brownies), the idea of pumpkin + choco + pumpkin came from this recipe and waaaaa because I’d never thought about baking protein brownies and cakes or, well, anything chocolate with canned pumpkin before BUT gosh! What a revelation = waaarawuuu :-)))))) OK, enough of me, here’s Heather + Heather’s brownies! Thank you Heather! 1. Mix all ingredients together – nothing more fancy than that! 2. Bake in a lined greased shallow tray (or, I would add, a silicone mold? That way no greasing is needed :-P) for 25mins on 170 celsius or until firm and brown on top and still slightly soft underneath. 3. Allow to cool before slicing into squares. Try them out they are sooo googey and delicious!!! !